To Be Mad or Not to Be Mad, that is the Question! 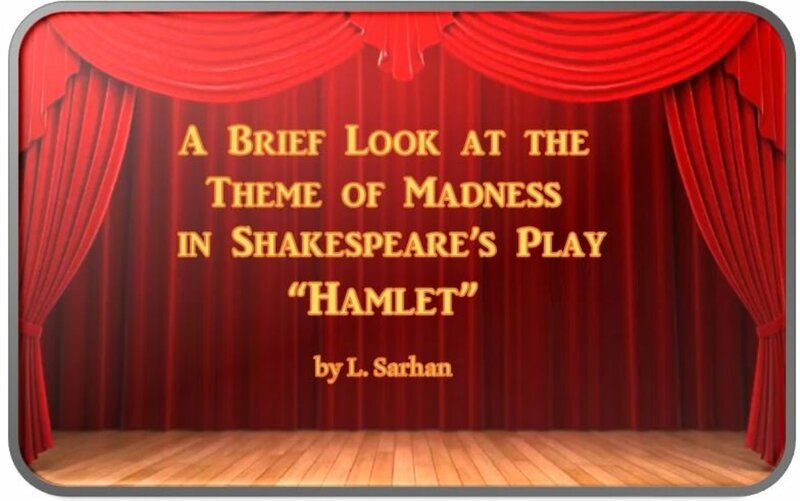 Before analyzing whether certain characters in Shakespeare’s “Hamlet” were mad or not, one must look at not only the behaviors that appear to be mad but the source of the madness. When Hamlet was having a conversation with the gravedigger who didn’t recognize him, the gravedigger spoke of how Hamlet was sent to England because he went mad. Hamlet then asks, “How came he mad?” (5.1.134) Hamlet makes a point to see if people merely saw the madness or the source of why he seemed mad. Grief and madness in Shakespeare’s “Hamlet” and the difference between how Hamlet and Ophelia handled their grief shows how determining whether the cause of madness is temporary or permanent. No, he was pretending to be mad. Yes, but his madness was temporary. Yes, he was truly mad. According to Virginia Hughes (2011) in the article, “Shades of Grief: When Does Mourning Become a Mental Illness?” published by Scientific America, she explains that it is common for mourners to ponder and question their point of existence. 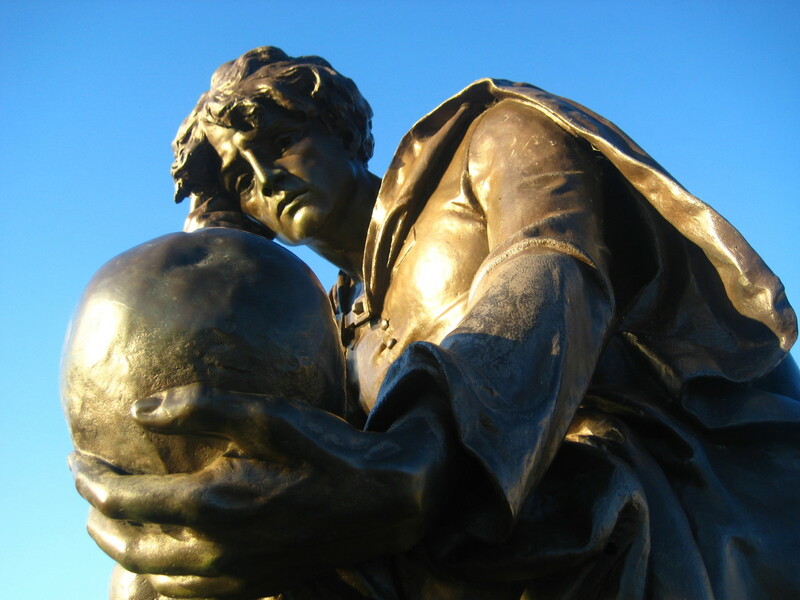 In addition to Hamlet’s sorrowful mourning over the loss of his father, he questions the motives of the marriage of his mother to his uncle, Claudius, within a month of his father’s death. He wonders if foul play was involved in the death of his father as he says, “O God, a beast that wants discourse of reason / Would have mourned longer!—married with my uncle, […] She married. / O most wicked speed, to post / With such dexterity to incestuous sheets! /It is not nor it cannot come to good, / But break, my heart, for I must hold my tongue.” (1.2.150-151, 157-160). His suspicions were first clarified when he was invited by Horatio to come to see his father’s ghost. In doing so, Hamlet’s father reveals that he was indeed murdered by Hamlet’s uncle and orders Hamlet to seek revenge (1.5.25, 62). Hamlet, blinded by the rage of the betrayal of his uncle, begins his descent into the assumed madness of mourning, betrayal, and revenge. The poisoning of Hamlet’s father is later confirmed as Hamlet overhears his uncle admitting to murdering Hamlet’s father (3.3.37-39). But, was Hamlet really afflicted with temporary madness? There are passages within the play that suggest that was not truly mad, but instead, it was merely for show as a ruse to exact his revenge. 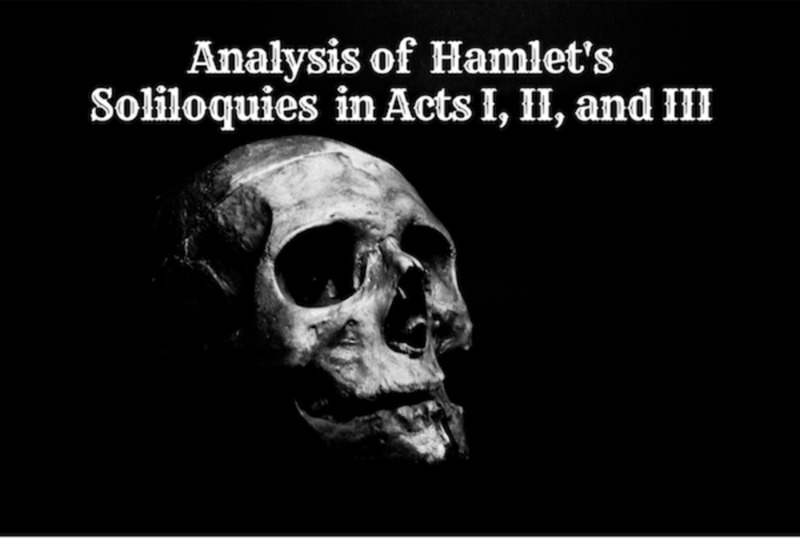 In Act I, Scene V, Hamlet tells Horatio and Marcellus, “How strange or odd soe'er I bear myself / (As I perchance hereafter shall think meet / To put an antic disposition on), / That you, at such times seeing me, never shall – “ (1.5.171-174) This is shortly after Hamlet learned of his uncle’s betrayal from his father’s ghost. Hamlet essentially explains to his friends that from hence forth his behaviors may seem erratic as though he has lost his mind but he assures them that he has not and it is only to obfuscate people so that he can carry out his father’s wishes. Hamlet also makes them swear to secrecy not to tell anyone otherwise. Beside from Hamlet’s erratic behaviors, such as manipulating the players to reenact his uncle’s heinous act of betrayal, it was what happens after the play that make his mother believe that he has gone truly mad. Visiting with his mother after the play in Act III, Scene IV, he assumes the man behind the curtain is his uncle the king, thus he stabs him with his sword. Soon after, Hamlet discovers it was Ophelia’s father, Polonius (3.4.25-32). 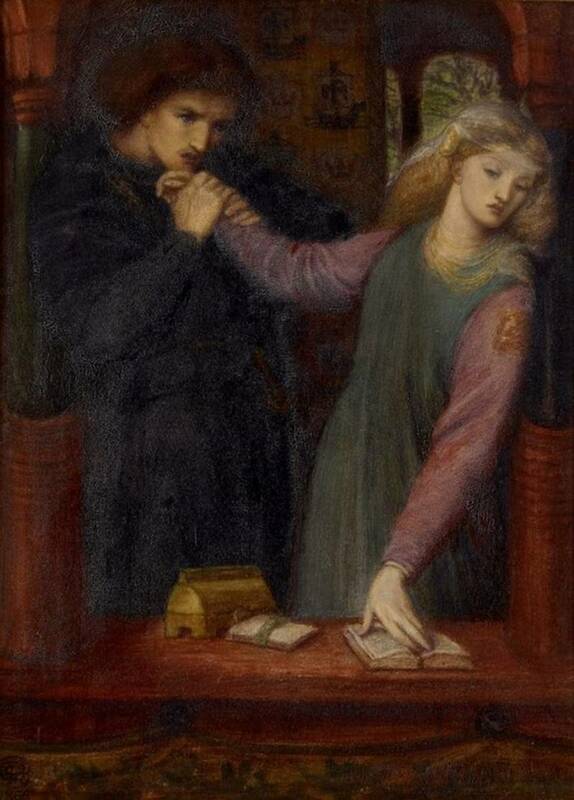 It was not until Hamlet, startled by his father’s ghost, to which Gertrude could not see for herself, that she utters her greatest fear, “Alas, he’s mad!” (3.4.107) Besides Hamlet’s show of erratic behavior and assumed madness, what his mother did not know was that he was able to reason in a logical mindset throughout the play and was merely carrying out his dead father’s wishes to be avenged. Yes, but she was driven to madness. No, she was just having difficulties dealing with grief. On the other hand, Ophelia’s descent into madness has been a topic of debate for many Shakespearean scholars. 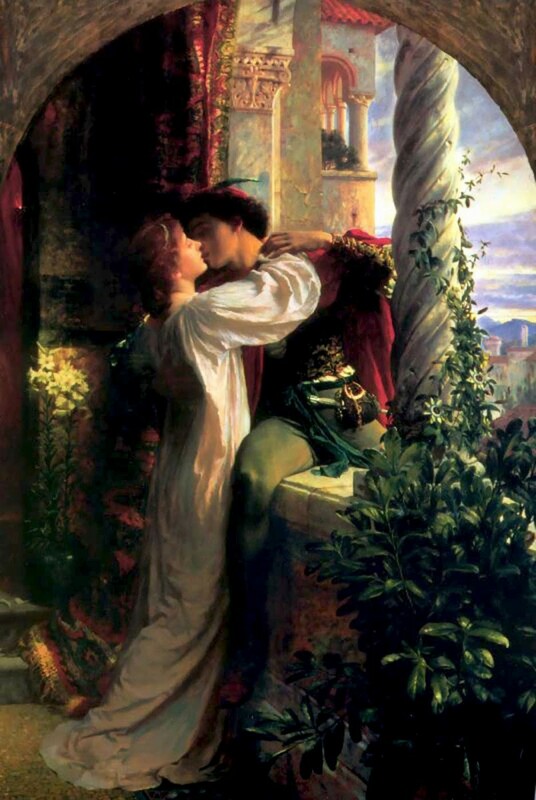 Was it the death of her father or the fact that Hamlet, the man she loved, rejected her affections? It is possible that it could be a combination of both. Perhaps it was the death of her father shortly after suffering from a broken heart that sent her over the edge into madness. Regardless, Ophelia presents with the classic symptoms of hysterica passio, which is a type of panic attack with exaggerated and uncontrollable emotion in association with selective amnesia, shallow volatile emotions, and overdramatic or attention-seeking behavior. (Camden 254). Because she suffered from a type of hysteria and not simply an act, she is the one that truly suffered from madness. In these lines, Ophelia speaks of her broken heart as she feels deceived by Hamlet’s intentions of marriage and romance only to reject her later. Camden (251) suggests that in addition to Ophelia dealing with her father’s death she is still emotionally dealing with Hamlet’s combined rejection of her, killing her fathers, and his banishment to England. She may believe, in the twist of madness, that Hamlet is now dead to her as well. As she continues the song she shifts the focus to the loss of her father. In this passage, she has now turned her grief and woe to the death of her father. Adding further insult to injury, her madness is heightened in the knowledge that his death was by the hands of the man she loved. It is as though the madness twists and turns the reasoning to these tragic events in her mind. Ophelia may be still grieving over her recent heart-break, but the death of her father and how he died is more pertinent to the cause of her madness. The gravedigger’s point is that there is a fine line between going out into the water with the intention to kill herself and not going to the water with the initial thought of ending her life, but instead allowing the water to come to her and not fighting against the drowning effect that the water causes. In other words, is it truly suicide when the means for death came to her instead of she going to it? 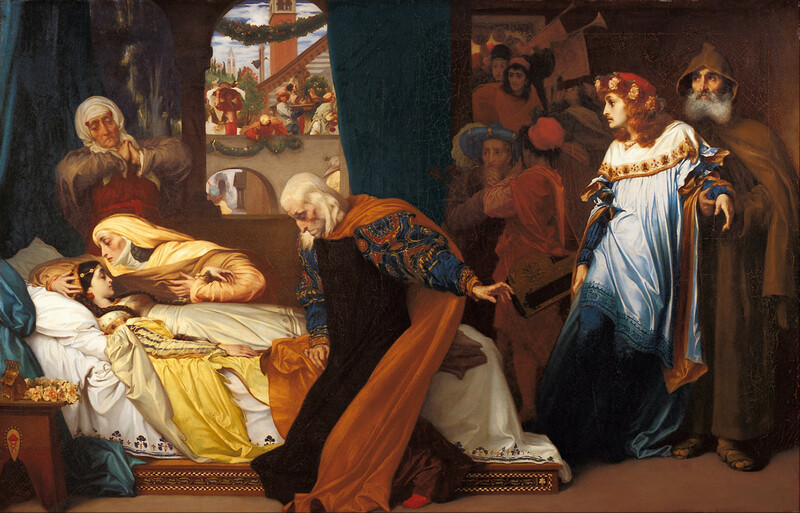 It can only be assumed that Ophelia had a similar mindset to Hamlet’s “to be or not to be” scene except in her mind she was truly mad and chose not “to take arms against a sea of troubles” as Hamlet had the clarity of mind to realize that although life seems pointless in mourning, it is still worth fighting for. Perhaps, Shakespeare used Hamlet’s dialogue and reasoning to foreshadow Ophelia’s fate since she drowned in the sea with a troubled mind? Also, this may have been Shakespeare’s way of subtle distinction clarifying the difference between who was mad and who was not by way of their mental reasoning. Hamlet chose to fight through life’s troubles; Ophelia did not as she allowed life’s trouble to consume her like the waves of the sea. 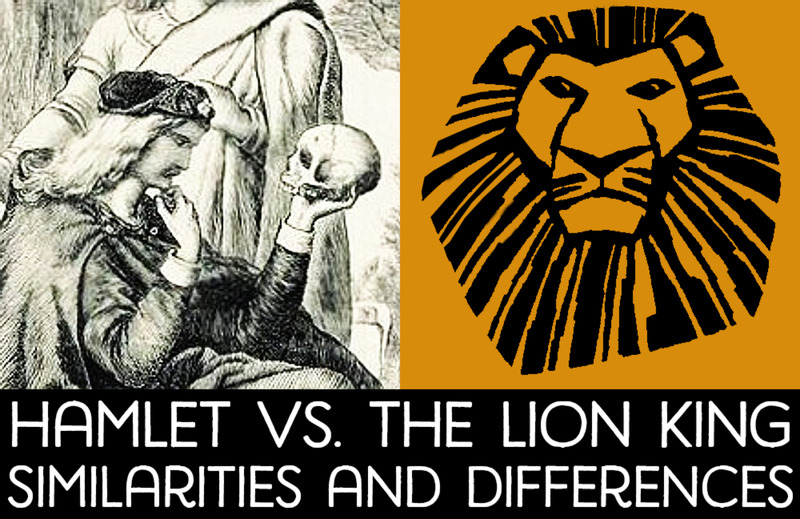 Hamlet is a tragedy brought out in a domino-effect of madness, revenge, and impulsive behaviors. Was Hamlet then mad for being so fool-hearty to put on such a ruse of insanity that causes later examples of true madness? Impulsively brash and shortsighted, yes, but not mad by the true definition of the word. Ophelia, on the other hand, went down a dark rabbit hole of madness due to Hamlet’s actions; one she could not climb out of. Therefore, when deciding whether one is truly mad or not, the circumstances surrounding their outward appearance of madness must be factored in the consideration, as grief, rage, and despair present itself differently for each character depending upon their viewpoint and experience. Shakespeare, William. “The Complete Works of William Shakespeare.” The Shakespeare Hard Press, Oxford Edition. Woodsworth Library Collection. 2007. Print. Do you think Hamlet was mad? Why or why not? What evidence in the play formulates your opinion? Do you think Ophelia was mad? Why or why not? What evidence in the play formulates your opinion? Do you think any other characters displayed a form of madness? What evidence in the play that has led you to think so?